On September 24th everything you've experienced, everything you've known, never happened. Julianne Moore stars as Telly Paretta, a grieving mother struggling to cope with the loss of her 8 year old son. 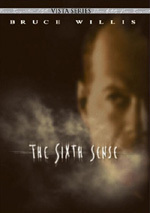 She is stunned when her psychiatrist (Gary Sinise) reveals that she has created eight years of memories about a son she never had. But when she meets a man (Dominic West) who has had a similar experience, Telly embarks on a search to prove her son's existence and her sanity. $21.022 million on 3104 screens. For an attempt at a supernatural thriller, we head to 2004’s The Forgotten. Telly Paretta (Julianne Moore) can’t get over the loss of her son Sam (Christopher Kovaleski). He died in a plane crash 14 months earlier, but she remains deeply wounded by his demise, and she obsesses over his memory despite the best efforts of her husband Jim (Anthony Edwards) and her therapist Jack Munce (Gary Sinise). Telly starts to question her memory when little slips start to occur. She finds her car across the street from where she thought she parked it, and she discovers no coffee cup during therapy when she was sure she had one. This intensifies when Sam suddenly disappears from a picture of the family and other artifacts vanish. Eventually Jim tells her they never had a son. Instead, Munce informs her that she invented the memories after she went through a miscarriage. As one might expect, this messes with Telly’s mind, and she refuses to accept that her son never existed. She pursues clues, and that sends her to try to ally with Ash Correll (Dominic West), a former hockey star who now drinks heavily. Telly claims Ash lost his daughter Lauren in the same crash that claimed Sam’s life, but he states he never had a daughter. However, Telly manages to trigger some memories in Ash. Matters get even weirder when agents from the National Security Agency take custody of Telly. Before they drive off with her, Ash assaults their car and creates enough of a diversion for Telly to escape. The pair eventually unite, and the rest of the film follows their pursuit of the truth and their attempts to uncover whatever bizarre conspiracy envelops them. Lots of movies fall into the category of “good premise, mediocre execution”. Unfortunately, that’s how I’d have to classify The Forgotten. 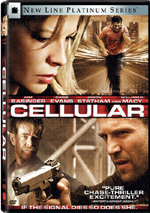 Actually, I was tempted to simply cut and paste my comments about Cellular, as both movies demonstrated rather similar strengths and weaknesses, though Cellular displayed quite a few more good elements than did the dull Forgotten. Forgotten definitely starts in an intriguing way, as we initially wonder if Telly is in her right mind. Unfortunately, the movie quickly answers that question and doesn’t leave us with any uncertainty. It could have been an interesting examination of variations in reality, but instead it never gives us any doubt. This means the movie focuses on the “mystery” about what happened to the kids, but it doesn’t exactly leave us in suspense. We figure out the perpetrators readily, which makes the movie’s “shocking” twists less than startling. When the flick eventually reveals the nature of the conspiracy, it comes as little surprise and lacks much punch; there’s no Sixth Sense style turn here. Clearly Forgotten aspires to the M. Night Shyamalan school, just as Cellular tries to go for Hitchcock’s style. Neither does so well, though at least Cellular provides a little excitement. Forgotten wants us to feel as intrigued by its tale as we often are with Shyamalan’s flicks, but it never turns into anything compelling. Rather than draw us in with a clever story, Forgotten follows easily-anticipated threads. To create excitement, it relies on stock horror movie jolts. Lots of loud noises and sudden movements attempt to provide emotion in the viewer, but instead they just cause eye-rolling due to their cheesiness. Even at a skimpy 90 minutes, there’s not much story to The Forgotten. It meanders along and suffers from a general lack of logic and excitement. The movie comes across as a disappointment, as it launches with a good premise but quickly goes nowhere. The Forgotten appears in an aspect ratio of approximately 1.85:1 on this single-sided, double-layered DVD; the image has been enhanced for 16X9 televisions. No significant flaws marred Forgotten, but the transfer also never became particularly stellar. Sharpness was generally fine. Some slight examples of softness occasionally interfered with wider shots, but those instances stayed minor. The majority of the movie came across as distinctive and concise. I saw no jagged edges or moiré effects, but some mild edge enhancement created a few haloes. Print flaws didn’t manifest themselves, though the movie’s darkness led to more grain than normal. Supernatural thrillers don’t lend themselves to bright palettes, and Forgotten followed the kind of drab look one would expect. A cold blue tone affected the vast majority of the film. Really, the only more vibrant hues we saw popped up in flashbacks, as those created some livelier scenes. Otherwise, we got a chilly, unsaturated look. Blacks were sufficiently deep and dense, but shadows tended to be a bit heavy. This became something of a problem since so many low-light shots appeared. I expect that some of this stemmed from visual design choices, but I still found the denseness of these shots to became a minor distraction. Ultimately, Forgotten presented a good but unexceptional transfer. As one might expect from this sort of spooky flick, the Dolby Digital 5.1 soundtrack of The Forgotten mostly concentrated on general ambience. Occasionally we got more lively sequences, particularly during the minor action sequences. Car chases and various crashes used all five channels to create a vivid impression. Most of the film used the different speakers to emphasize atmosphere, though, and they did so fairly effectively. There wasn’t much here to punch the viewer in the stomach, but the soundscape worked fine for this kind of film. Audio quality was positive. Speech consistently sounded natural and crisp, with no problems connected to intelligibility or edginess. Music was smooth and vibrant, as the score presented well-rendered tones. Effects occasionally sounded slightly metallic, but they usually were clear and accurate. Bass response added a bit of pop when necessary. Overall, this was a perfectly solid soundtrack. When we move to the set’s extras, we find that the DVD in its theatrical rendition or an extended version. The latter adds about three minutes to the movie’s original run time of 91 minutes. As far as I know, the only difference comes from the inclusion of an alternate ending. This clip also appears in the DVD’s “Deleted Scenes” area, but here we get it cut back into the film. This version isn’t very different from the one that appears in the theatrical edition; the main changes come from the depiction of the climax and the way the ending deals with its main villain. It’s a slightly darker and less crowd-pleasing conclusion. Next we find a running, screen-specific audio commentary from director Joseph Ruben and writer Gerald DiPego. Note that this solely accompanies the theatrical version of the film. Both men sit together for this running, screen-specific track. Despite a good start, they don’t tell us a lot of useful information about the movie. At the beginning, DiPego reveals the unusual inspiration for the story, but as soon as he lets that cat out of the bag, the men settle into a bland rhythm. They occasionally toss out interesting tidbits related to visual design, storytelling issues, and the workings of the cast. However, most of the commentary consists of praise for those involved and the flick in general as well as story-related notes that add up to little more than narration. This becomes tedious and does little to illuminate. It’s a dull commentary. Two featurettes come after this. First we locate the 19-minute and 55-second Remembering The Forgotten. It presents the usual array of movie clips, behind the scenes elements, and interviews. We hear from DiPego, Ruben, producers Bruce Cohen and Dan Jinks, visual effects supervisor Carey Villegas, senior visual effects producer David Taritero, computer graphics supervisor Layne Friedman, and actors Julianne Moore, Dominic West, Linus Roache, Anthony Edwards, Alfre Woodard and Gary Sinise. We hear about the concept’s origins, story elements and development, locations and shooting in New York, the cast and their approaches to the flick, and visual effects. While not a terribly thorough documentary, “Remembering” hits on most of the important issues and can be viewed as a substitute for the commentary; I think it goes over the few moments of information covered there. It lacks much panache but it also doesn’t suffer from the usual fluffiness. It’s a workmanlike and efficient examination of many aspects of the production. On the other hand, On the Set - The Making of The Forgotten takes a much more promotional bent. It lasts 14 minutes and 15 seconds and uses a structure similar to “Remembering”, though it more heavily emphasizes movie clips. It presents remarks from Moore, West, Woodard, Edwards, Sinise, Ruben, Jinks, and Cohen. 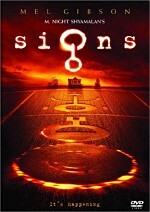 They discuss the story, the choice of the director, themes, shooting the flick, stunts, and connections to real psychological issues. “Making” could be fluffier and more promotional, and I learned a smidgen about the movie here. However, I’d like more than a smidgen of information spread across 14 minutes, and lots of film snippets pop up along the way. It clearly existed to tout the flick, so it went for topics designed to interest us in buying a ticket. Don’t expect much useful material here. After this we locate three Deleted Scenes. Taken together, they fill a total of 12 minutes and 46 seconds. Note that the “Alternate Ending” I already discussed uses most of that time; it runs nine minutes, 18 seconds. As for the others, one shows an attempted phone call from Munce to Telly’s husband; it’s very short I honestly can’t figure out what point it serves. The other shows smooching between Telly and Ash. It was a good choice for them to drop this scene, as one of the movie’s few strengths is that it avoids the usual romantic subplot that we expect. The DVD opens with some ads. We get promos for Are We There Yet?, The Grudge, and Guess Who. These also appear in the disc’s Previews area with two trailers for Forgotten as well as clips for Hitch, House of Flying Daggers, Spanglish, Little Black Book, Boogeyman and the Fifth Element Ultimate Edition. Based on its premise, The Forgotten had the potential to turn into a chilling and compelling thriller. Instead, it wastes our time with little more than cheap scares and predictable story twists. The DVD offers good but unexceptional picture and audio along with a decent set of supplements marred mostly by a boring commentary. This is a passable DVD for a bad movie.